The Law School of the University of A Coruña hosted an International Conference on 3-4 October, organised by the ECRIM research group and entitled “Beyond Neoliberalism? Politics and Punishment in Contemporary Societies”. 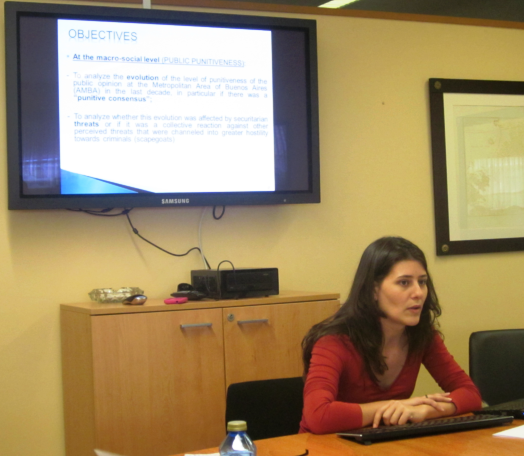 Our fellow Alejandra Otamendi (University of Buenos Aires, Argentina) gave a presentation on “Public support of punitive policies at the Metropolitan Area of Buenos Aires (2000-2010)”. For a full conference report, please click here.